On a recent trip to Central America, it was a real treat to see all the wonderful ingredients we import to our more temperate climes. Fabulous young coconuts for fresh juice, locally grown mangoes, avocados, cacao, chia seeds and so on. In fact all the things we associate with healthy eating and see in so many health orientated and raw food recipes. And of course they tasted so much better fresh and in their home environment. But after whingeing about the lack of tropical sun in Scotland – a revelation – I tasted local strawberries which were not nearly as good as our own sweet and juicy berries of summer months . Strawberries in the tropics tend to grow too quickly and become too big, too red and lack taste. 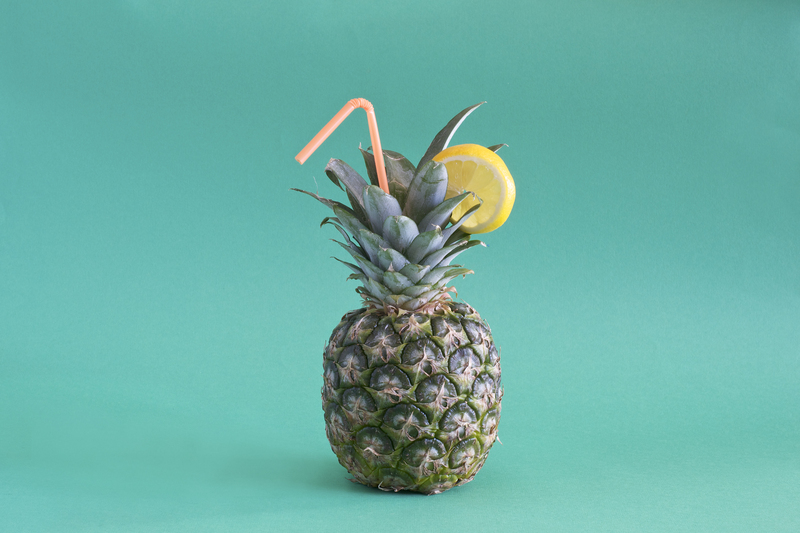 Much early online writing about healthy eating – and particularly about raw food – came from sunnier climes – particularly California with its Mediterranean climate and the tropics on the doorstep. This set the standard for ingredients and a leaning towards South America in particular for superfood ingredients. The UK ‘eat local’ narrative is one of sustainability. Fewer air miles, better for the environment and so on. Important and laudable of course, but the focus is not on celebrating the positive wonders of taste and goodness in local foods. 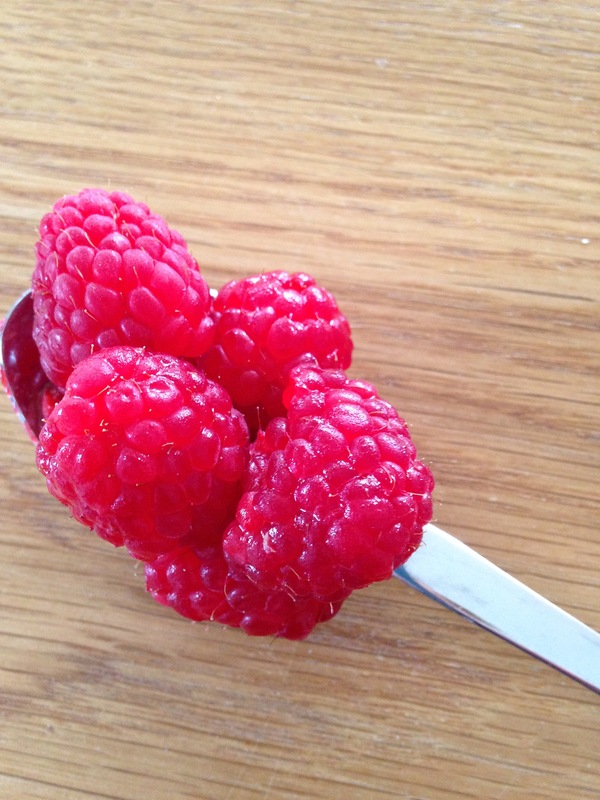 Raspberries flourish in cool climates and Scottish raspberries are perfect. Fresh red raspberries from Scottish farms, particularly organic or at least unsprayed are, just like blueberries, full of health benefits. Antioxidants, phytonutrients and raspberry ketones put raspberries into the superfood category with associations made between raspberries and health benefits including disease prevention and weight loss. A good summary can be found here. Marvellous to eat on their own, they blitz well into smoothies and desserts and their tart edge also makes them good to add to salad dressings and vinegars too. And they freeze well. Super indeed. So given the choice of imported tired looking blueberries and fresh local unsprayed raspberries – it’s a no brainer. Sea buckthorn (ok cheating a bit – it’s a rampant import that help keeps sandy dunes intact). The leaves and fruit (especially) have nutritional and medicinal properties because of very high content of vitamin C and flavonoids. It’s easy to find the juice nowadays – often made by artisan producers on the Scottish coast ,Adding sea buckthorn juice to drinks and desserts adds an interesting sour kick. A bit of an acquired taste mind (although not as sour as camu camu). 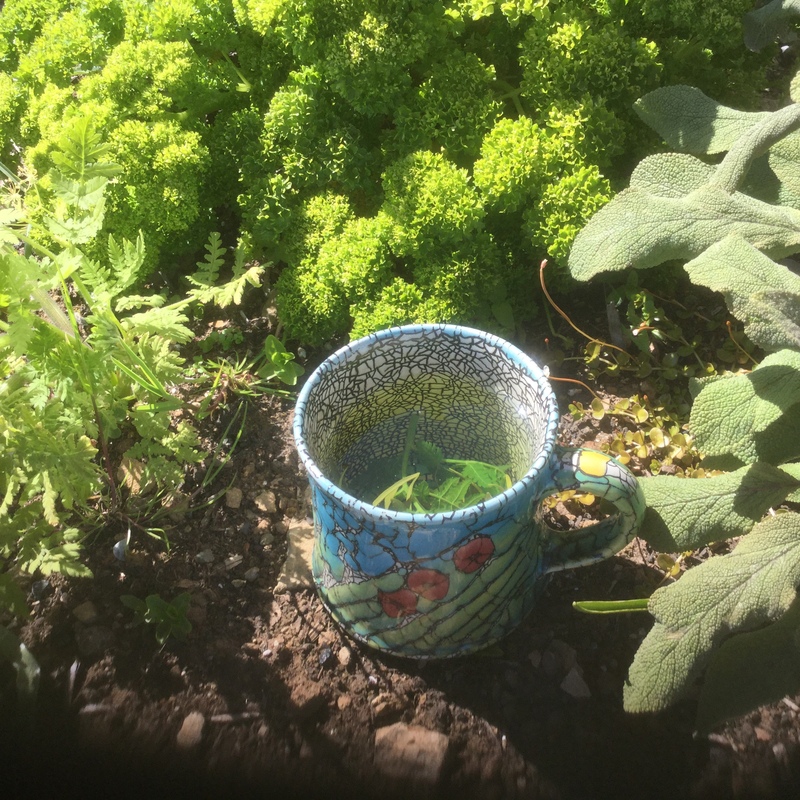 The leaves, mixed with sweeter herbs, eg sweet cicely make a good tea. Samphire is now widely available in supermarkets but can be foraged along some coastlines. You’ll be competing with the sheep for it along the Scottish west coast though. Careful foraging of seaweed is fun e.g. Sea lettuce (make sure it’s still growing, and harvest with scissors in pristine waters only). Fiona Bird , who lives in the Hebrides has recently published a brilliant book with tips on harvesting seaweed and recipes. Dried seaweed is now becoming easily available too. Seagreens have some lovely dulse. Nuts were an important food source for our Palaeolithic hunter gatherer ancestors in the UK. Hazelnuts still grow all well in gardens and the countryside but are not produced here commercially. Except for Kentish cob nuts, a hazelnut variety. They are available as sweet and juicy fresh nuts in the Autumn and somehow don’t seem as dry as commercially sourced hazlenuts the rest of the year. The downside is that they come in the shell – which have to be cracked (or bashed with a rolling pin in my case). The aromatic flowers and pungent, deep red bitter berries of the Elder tree have culinary and medicinal properties. The tree itself is magical in old European tradition and traditionally planted near a house to ward off evil spirits. JK Rowling brought the tradition to a modern audience with her magical elder wand, one of th deathly hallows in the final Harry Potter novel. Elderflowers can be found in hedgerows around June. The foraged flowers usually make their way into sugary cordial or wine. Although the cordial is a pleasantly fragrant addition to flavour drinks and desserts, it’s just another way to consume lots of refined sugar in the end. Wanting the flavour without the sugar, I recently made a elderflower panna cotta (sort of) by blitzing soaked cob nuts with a cooled infusion made by soaking elderflowers in boiled water and adding chia seeds (to swell and thicken) and maple syrup to sweeten. Served with some fresh apricot. Yum. To be more local, honey could be substituted for the maple. 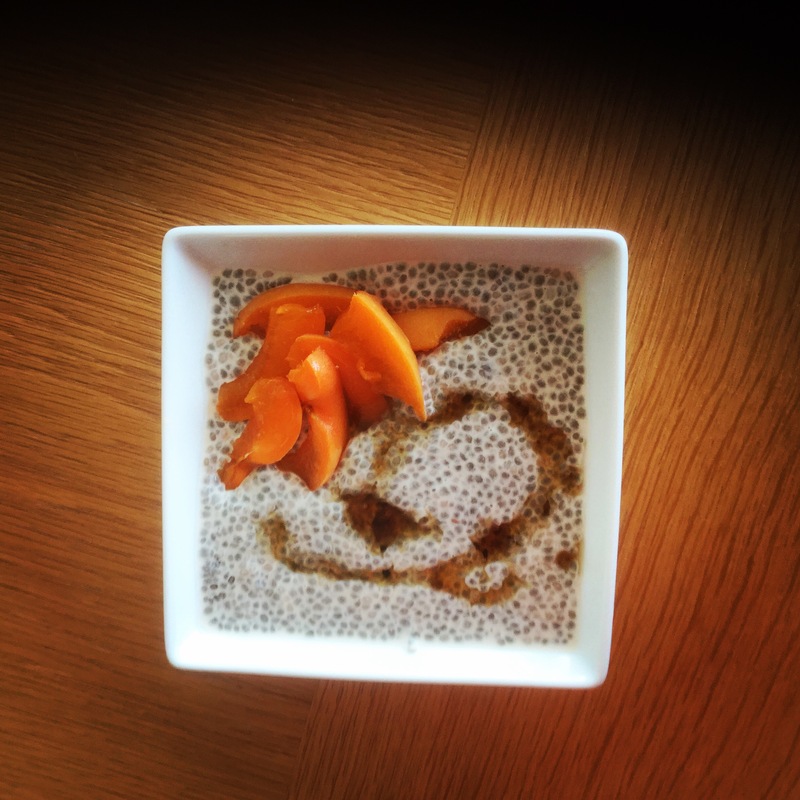 Anyone any ideas about a European substitute for chia seeds? An infusion of the flowers make a fragrant tea. associated with being cleansing and reviving. Wild bilberries leave cultivated imported blueberries standing for vibrant flavour. Nowadays they are difficult to get hold of unless you go foraging in moorland areas. I used to pick them by the bagful in Derbyshire in July /early August. If all else fails try Natural Cool’s organic frozen blueberries which are from Northern Europe and to me more like bilberries than cultivated blueberries and definitely worth it for strength of flavour. While perhaps not as versatile as ginger horeradish is a useful fiery root which is good for respiratory problems. It’s a tasty addition to probiotic rich fermented cabbage based foods like kimchi and sauerkraut. A herb we tend to take for granted but high in vitamins and minerals and with antiseptic properties. Far more than just a garnish, it’s great to include in green and ‘savoury’ juices e.g. tomato, red pepper, carrot, celery, parsley where a handful of parsley adds flavour. Easy to grow in the garden or in a window box – although they do say that only bossy people can grow parsley. Mine flourishes.